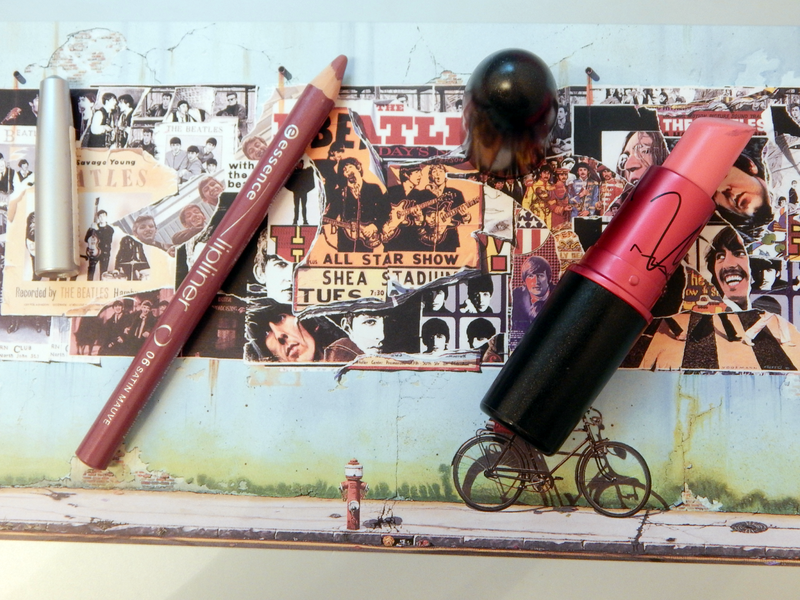 If you've been following my blog for a while, you'll know that I mostly wear bold, colourful lipsticks. I'm bad with finding nudes that I like on myself, so I normally opt for bright shades. A while back, I posted about my MAC lipstick collection- the pink shades including one of the Viva Glam ones, Viva Glam Nicki. Now if you've read that post you'll know that Viva Glam Nicki is not my favourite shade and that I've always been struggling to wear it because of it's bright baby pink-ness (for lack of a better expression). Since I refuse to owning a lipstick that I can't really wear, I've tried out a pretty simple way of making it work out today- it's very straightforward, but I still haven't really thought about it before, for whatever reason. As you can see, the key is playing around with lipliner in order to arrive at the desired shade that's actually wearable. 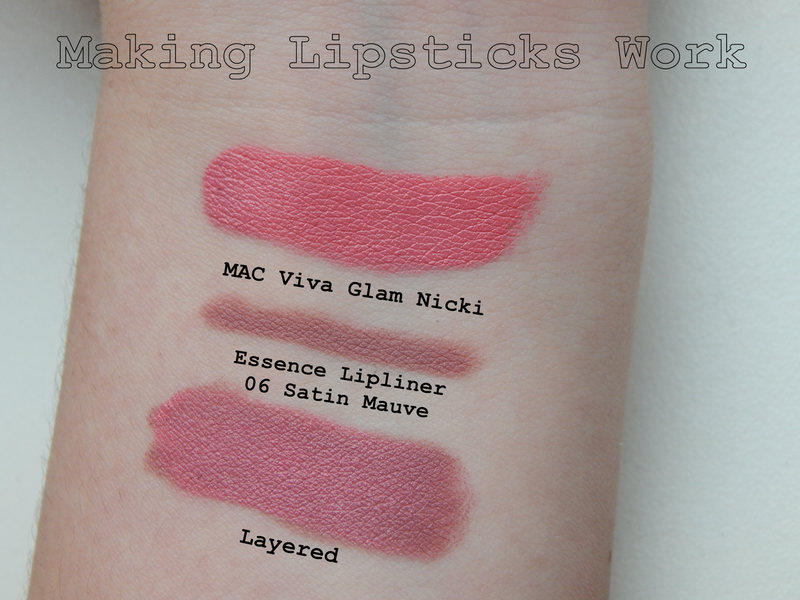 I paired Viva Glam Nicki, which is a very bright pink with yellow undertones with a mauve coloured lipliner by Essence (very cheap, bargain buy) to mute down the colour and tada- wearable dusty pink shade that looks like a pretty everyday lip colour! I'll definitely try this trick on a few more lip colours that I don't wear that regularly because of similar issues- I think it's just a pity to own lipsticks you've spent a decent amount of money on and then not wearing them!